Apple have been releasing one new iPhone every year since the first model in 2007. 2013 was the first exception, as it saw both the colorful iPhone 5c and the 64-bit iPhone 5s launched. With the launch of the iPhone 5c and iPhone 5s, Apple wiped out the iPhone 5 from its selling range, but interestingly kept the iPhone 4s as their budget handset. Why? No official word from Apple, but many speculated that the multiple reports of quality problems with the iPhone 5 – such as scratching easily, bending framework, failing home and power buttons – meant Apple didn’t want to keep it around. It does seem a little odd to pick a 2011 phone over a 2012 one when looking for its latest budget handset. The iPhone 5c is essentially a repackaged iPhone 5 with virtually the same specs, while the iPhone 5s takes on the same outer design, but having a new internal frame to overcome the bending issues of the iPhone 5 – and it was heavily upgraded internally. But what will 2014 bring in the way of new handsets? Will we see a 64-bit iPhone 6c? I think that is very likely, as 64-bit seems to be the new direction Apple are taking. Will the iPhone 6 or iPhone 6c have a bigger screen? This is heavily rumoured, and with others offering 5″ and 6″ screens, Apple would be very unwise to keep to the smaller form factor that they have been. Will it have an edge-to-edge display? This would be nice, but it could be a design nightmare. A phone without a rim around it would look superb, but I am not sure how well it would withstand knocks and drops. Will it feature 128 GB storage options? This is very likely. The iPad 4 already has it, and 64 GB was offered back with the iPhone 4s (although Apple now offer the iPhone 4s only in 8 GB), so it is about time larger storage was offered. Of course you always have the much rumoured “budget” iPhone. The iPhone 5c was anticipated as their cheap iPhone until the price was revealed. Could Apple be about to delve in to the midrange market? I don’t think they will. This is not Apple’s style, and they have always postitioned themselves as offering higher-priced premium devices. Apple’s answer to a budget iPhone is just to offer an older version at a discounted price. iOS 7 was a radical new look, a big departure from every previous version, but Apple are still working out some kinks and introducing new features and tweaks with each update. With the WWDC looming in June, rumours of iOS 8 being showcased are floating around the Internet, but I don’t think Apple will be too quick on releasing a whole new OS. The iPhone 6 or iPhone 6c may ship with iOS 7.2 or 7.3, which, while still under the iOS 7 umbrella, could well feature some major changes in UI without being a totally new OS. If this is the case, it could mean we won’t see iOS 8 until 2015, which would be good news for iPhone 4 owners who are perfectly happy with their 2010 handsets and aren’t looking forward to being dropped from the next release. But if iOS 8 is delayed until 2015, it could also mean that both iPhone 4 and iPhone 4s users won’t see iOS 8 either. Apple could be planning to wipe out phones with 3.5” screens in favour for 4” plus devices like the iPhone 5, iPhone 5c, iPhone 5s, and future iPhones, which could possibly feature even bigger screens. Very little is known about the illusive iWatch. Are Apple working on a smart device you can wear on your wrist? Will it be paired to an existing iPhone or a standalone product? Does it even exist at all? 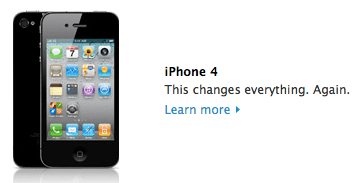 Extended Life for iPhone 4? When Apple released iOS 7, the iPhone 4 was the lowest iPhone to receive it, but Apple stopped selling it with the launch of the iPhone 5c and iPhone 5s. In a surprise move Apple recently reintroduced the iPhone 4 for India; this could be good news for the aging device, as it could extend the life of it for a little longer. While not necessarily reintroduced and more resurrected – as Apple were still selling the iPhone 4 in some emerging markets in 2013 – whichever way you look at it, they are still selling the iPhone 4 in some very large markets and will continue to for a while. It is this news that makes me think Apple won’t release iOS 8 just yet: Why sell a phone that cannot run the new OS in a few months – this isn’t Android – unless it decides to offer iOS 8 to the iPhone 4 after all. I think we will see two new iPhones in 2014 but won’t see iOS 8 until 2015. Apple are full of surprises and could pull something totally new out of the bag.